Why I spend my time raising money for a special needs school in Sunderland. There are so many charities around the world, some global and some that just affect local areas, but each one is just as important as the other and I think everyone has at least one cause that they hold close to their heart. For me. It’s Sunningdale School. The Bike club that I’m associated with is made up of men, but the women who stand beside them, their wives, mothers, girlfriends, well they wanted to do something amazing. 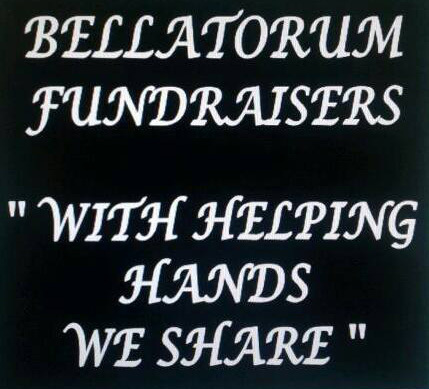 So, they formed Bellatorum Fundraisers, a group that would raise money for different charities every year. Sunningdale school is a special needs school who care for a group of children with special needs in the Sunderland area. The teachers and staff at the school provide as much support and learning as they can, individually tailored for each child’s needs, and if that wasn’t enough, they consider the needs of the parents too. The staff are truly wonderful, caring human beings, and the children, my goodness are those kids amazing. After the first year of helping Sunningdale, the girls never looked back and decided to dedicate every year to this school. I’m proud to say that I joined them on this utterly fulfilling venture at the beginning of the year and it’s been amazing being a part of something so worthwhile. I think we will all admit it can be hard to raise money for anything, I spent most of my time this year hounding people to sign my sponsor forms and thinking of ridiculous schemes to raise more money because Sunningdale is just as important as any other school, any other charity. It's vital to those children and their families. Which is why we do what we do and try to raise as much money as we can. 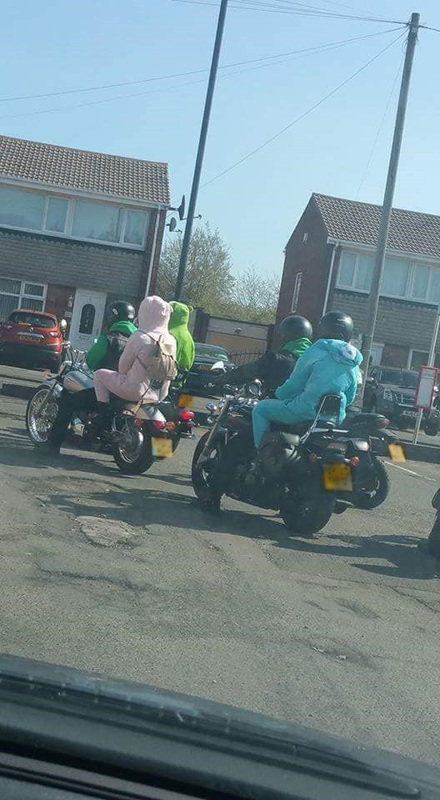 This year that meant dressing up as care bears, in stupendously fluffy onesies, riding around through Sunderland City Centre on the back of motorcycles and walking 2 miles in the blistering heat. But that day was made by the children and the families who joined us on our walk. So yeah, we were stressed, tired and sweating but we had fun, the kids had fun and we ended up raising a good amount of money for them. We also put on a carnival day at the school. We had fairground rides and tombolas, we had face paints and sweet stalls, we had copious amounts of animals to pet and even a ‘beat the Bellatorum’ – where children (or adults) got to smack the living daylights out of any Bellatorum member with huge inflatables – honestly it was like the old Gladiator TV show, and I highly enjoyed watching my boyfriend getting whooped by a 10 year old lassie with a black belt in Judo (unbeknown to him at the time). But again, we were stressed, we were hot, we were tired, because we’d been planning it for a long time. But it was all worth it, even if we hadn’t raised a single penny, it was worth it. To see the children smiling whilst petting baby goats, laughing whilst on the teacups or seeing the parents relaxed and happy, enjoying their day, winning prizes for themselves. It was all amazing, and at the end of the day we did raise money for the school, meaning they could invest in more for the children. Which at the end of the day, is who it’s all about. We’re already thinking of what ridiculous things we can do next year to raise money, I’m pretty sure there’s been mentions of waterfalls and abseiling and goodness knows what else, and now that I’m working here at Get Carter Productions, I’m supported and encouraged to take on fundraising events for charity. So, it’s a win-win, though I’m not too keen on the waterfall idea. 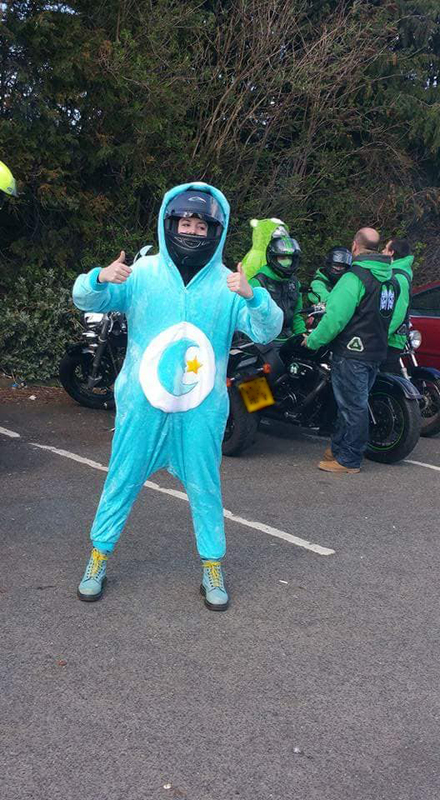 If you have any fundraising ideas (no matter how outrageous they may be) then I’d love to hear them!